Mass spectrometry (MS) is a versatile technique used to analyze a broad range of compounds originated from different species with high accuracy, resolution, sensibility, selectivity, and fast scan speed. MS has been widely used in various areas, from theoretical chemistry studies to the discovery of disease biomarkers. In this chapter, we will focus on the use of MS in bioenergy, describing new developed technologies that can perform a full metabolite characterization of a biological system. 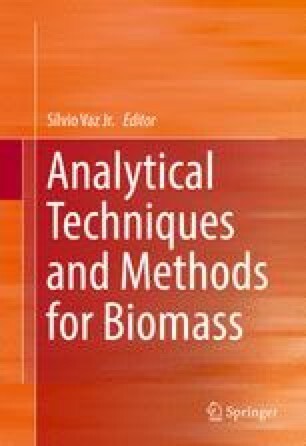 The chapter is presented in three topics: (1) Mass spectrometry; (2) Mass spectrometry-based metabolomics; and (3) Mass spectrometry for biomass composition analyses. The first topic (Section 1), is about the fundamentals of MS, including some advanced applications in instrumentation that greatly contribute to chemical compound identification and characterization. The next two other topics describe the applications of MS in two important areas related to metabolite characterization that are used in the bioenergy scenario. A general description of metabolomics principles and approaches, such as targeted and untargeted analyses, was discussed, including some applications in the system biology (Section 2). Finally, an overview of agricultural biomass composition for biofuel and chemicals production, based on MS approaches, is presented in Section 3.